The 16th Annual Southland Honors Award will be presented on Saturday March 23, 2018 at the ONE Archives Foundation; the host of the first event in 2004. The Southland Honors awards were created to nurture an attitude of integrity and community pride, preserve leather community tradition, and to recognize community service. The Chair and Vice chair of the LA Leather Coalition, and individuals who won last year are not eligible in any category in the following year. Which Person (man or woman) has been most active, or been the biggest influence on, or spokesperson for the Southland Leather community in the past year? This award recognizes those who are of service for altruistic reasons rather than for personal gain or publicity. These folks work quietly and consistently in the background to make community groups, events and services succeed. Consider the individual’s follow through as well as their intentions when nominating for this award. Those who are at the event first and leave last, or those who are nearly always there without being asked to lend a hand are good candidates for this award. The award is presented to any person over age 55 who has contributed to long term advancement of the ideals of the Southland Leather Community. This award recognizes individuals 35 or under at the time of nomination who stand out from the rest of the pack. They are present, visible, active, and willing participants in their communities. What Club, Organization or Group has been the most visible, active or influential in the past year? What event was the most fun, groundbreaking, interesting or significant in the past year? This award is given to the person or collective who has expressed them self and our community through the arts. In one of many forms such as plays, photographs, poetry, performance art, mixed media and more. This person or collective transcend the fundamentals of leather and kink in a cause to enlighten the mainstream. Not publicly nominated, but given at the discretion of the LALC Chair. For the awards listed above (except Chairman’s Award, Cultural Arts, Community Choice Man & Woman), winners are chosen by the 2019 SH Selection Committee, consisting of: LALC Board Members & Community Partners, and the winners from the prior year. Bio information for nominees will be compiled and edited before being presented to the Selection Committee. Selection for the Cultural Arts, Community Choice Man & Woman Awards will be by public vote on this webpage in early March. Please read all of the following policies before making a nomination, or you risk your nomination of being discarded. These are nominations, NOT votes. There is no need to re-nominate those who have already been nominated. Contact: You must provide us with a valid way of contacting both you AND the nominee; ideally both a phone number and an email. We will try to contact them if you don’t have the information, but cannot guarantee your nomination will be accepted if we can’t get in touch with the nominee. Eligibility: Please note that the current Chairman and Vice-Chair of the LALC are not eligible for nominations. Also, 2018 winners may NOT be nominated in any categories. Businesses and clubs are not eligible in the same category they won the previous year. Category - please make sure you pick sensible award category for your nomination. We get some wacky-indecipherable nominations. If you’re not sure please read the criteria! 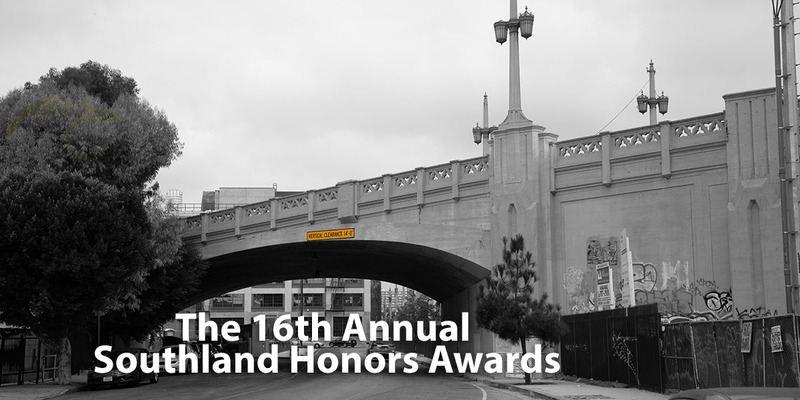 Geographic Areas - The Southland Honors accepts nominations for businesses, organizations, events held, and individuals based or living in Los Angeles, Ventura, Orange, San Bernardino, Riverside, San Diego, & Imperial Counties. Online businesses based in the Southland are also eligible. Community Choice Man & Woman Awards have slightly different selection process.Qualifications are simple, the nominee must be a person that has contributed to the growth, education, leadership, volunteer or made a significant contribution to the LA Leather/fetish community in the past year. Anyone may nominate a man or woman of the year. Bios will be required and the nominee must accept. Nominees may not be nominated in any other category. Each person will be allowed one vote. Multiple votes will not be accepts.